Even if you’re on a tight budget, it’s still possible to dive one of the most spectacular places on the planet without breaking the bank. There are a lot of package deals available to help you book your Hawaiian dive vacation and some of those might work well for you. Still, divers have a hard time adapting their more specific vacation goals to fit smoothly into most standard tourist operations. I know, that’s always been true for me. Years ago I started planning diving trips for myself, my friends, and student touring trips from scratch. Over the years I’ve found that there are some ways to save a few bucks while also meeting your need to dive some of the best areas in Hawaii on a budget. I’d like to share some of these thoughts with you. When planning to dive or snorkel Hawaii, I like to break things down into six basic areas and then explore each one in turn looking for the best ways to maximize my diving pleasure while keeping my expenses to a minimum. Because I love the Big Island and the Kohala Coast, I’m going to use that as my model. Check out my previous blogs for this area. You can use the same basic approach for planning a visit anywhere else in the Islands, too, and the thinking process is the same. The main focus of your trip, how long you plan to stay, and the number different places you want to visit will make a big difference in your budget. Staying longer in one place helps with the budget, but it’s still your vacation. Think hard about what you want to see and do, and then go for it. I hope the following ideas will help. Airfare This is always a big chunk of the budget for any vacation. Some of you probably have credit card miles or other air deals available and are used to booking your own flights. Think about staying on the same island for at least a week. Island hops add to the expense, and flying days usually aren’t diving days. Flying standby can be an option, but if you’ve booked lodging ahead of time this is a gamble. The only thing I can recommend here to start looking for deals and book early if your timeline is firm. Baggage charges are also a consideration as they vary between airlines. Red-eye flights are often cheaper if you can sleep while in flight. Transportation to the airport should also be penciled into the budget. Getting to the airport is easy and cheap if you can rely on friends or family to deliver and fetch you, but if you are traveling to an airport from any distance and planning on using your own car, then parking costs can also become a consideration. My wife and I like to book one of the Park/Sleep/Fly hotel options where you can arrive at the airport hotel the day before your flight and catch the hotel’s shuttle to the airport while you leave your car in the hotel’s parking lot for the duration of your trip, usually at no additional cost over the price of the hotel room. You can do the hotel stay-over at the beginning of your trip or at the end, or at both ends. The cost for a one night stay plus parking usually works out to about the same price as leaving your car in one of the extended parking lots at the airport. The Park/Sleep/Fly arrangement might also be a good money-saving option to consider if the cost of the airfare is ridiculously cheaper out of another airport. Do the math and see if it works out better for you. Here’s a link to the Park/Sleep/Fly website we use: http://www.parksleepfly.com/. Lodging There’s money to be saved here but you have to balance your comfort and convenience against other factors such as increased time on the road. I like to rent a beach house on Puako Beach Drive, but it can be pricey, especially if it’s right on the oceanfront You can check these out at the Vacation Rentals By Owner website at http://www.vrbo.com/ . If you use this option to reserve a spot along Puako Beach Drive, remember the even numbered houses are on the beachfront, and the best diving areas start at #60 or higher. Odd numbered rentals are considerably cheaper as they are across the street from the beachfront, but also remember that access to the waterfront is pretty good along this stretch of road so a short walk to access a terrific dive entry might be worth big savings to you. Renting a beach house might seem horribly expensive when you first look at the prices, but if you buddy up (go with another couple or two), then the price per day for the rental drops dramatically and suddenly a dream house on the beach is very reasonable. You can rent condos around Kailua-Kona cheaper but you’ll have to drive a distance and spend some time to reach most of the best beach diving areas at the north end of the island. Both of these options give you the ability to cook in. I like to eat out sometimes, but most of the time, and especially for breakfast, I prefer to cook my own meals. If you’re traveling with another party, splitting lodging expenses will really help. Hotels are also an option if you don’t mind eating out most of the time. This runs up the food bill though, and that adds to the overall expense. Camping is another option. 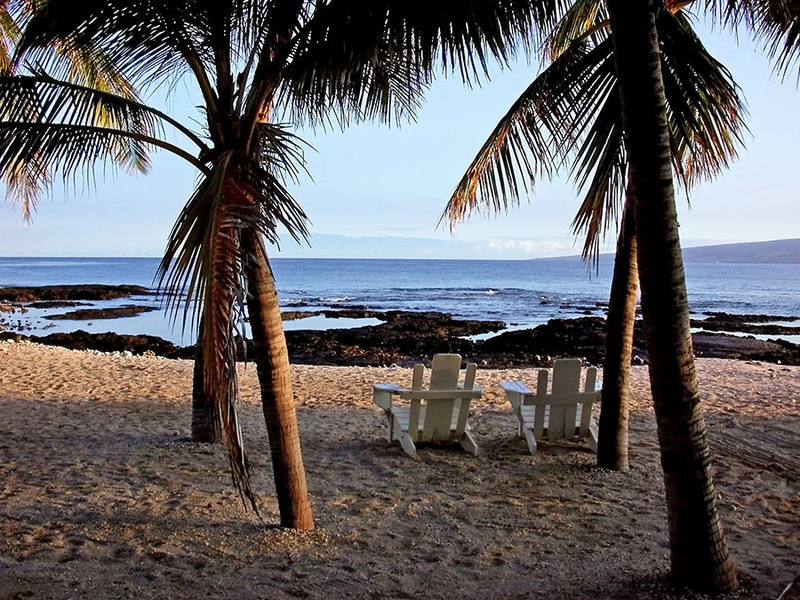 Places like the cabins at Hapuna Beach, or staying at one of the beach parks will save money. Permits and reservations are required and available through state offices. If you’re carrying expensive diving gear though, this can be dicey. I did this several times early on, but concluded that it was much better up-grading to a condo or beach house for comfort and security that’s well worth the extra bucks. Ground Travel Booking a medium sized car is adequate for the needs of most people. This will carry your equipment without problems. The roads along the coast are well maintained so that’s not a consideration. If you’re traveling with another party you can share this expense but there are a couple of things to think about. This limits you to doing things in lock-step so compatibility is important. I prefer having separate cars. When you dive you can travel together in one vehicle, but if someone opts to do something else you don’t have to hassle over the decision. Food I touched on this earlier. Eating in is convenient and saves you time and money. Eating out in Hawaii is expensive for the most part, and the pleasure of going out to a good restaurant grows old if you do it every day for a week or more. I like eating out, but not all the time. Diving Expenses I carry the majority of my own gear over on the plane with the exception of a tank. Tank rentals run about $10 a day and usually come with a free fill for a second dive. That means I can do two dives a day for six days for about $60. Renting other equipment gets pricey in a hurry. When diving the Kohala Coast I use Kohala Divers in Kawaihae, a shop that is a ten minute drive from anywhere along Puako Beach Drive. There are other options, including a large number of diving operations around Kona. I suggest you check out gear rental options on the web beforehand. Consider how many days you plan on diving versus the cost of rental gear when making your decision. Other Expenses We’re all individuals and we all have our own favorite things to do. Think these through ahead of time. You can often get discounts for special things like a local Luau or side tour of your choice by shopping the web in advance of your trip. Boat trips are nice, but pricey, and I can access the same areas they do from the beach along Puako Beach Drive. I love the Kohala Coast on the Big Island of Hawaii. It’s my favorite dive destination among all the islands hands down. Planning a diving or snorkeling trip to Hawaii can be a unique experience, and doing it yourself makes it all the more enjoyable. I hope some of the ideas I’ve tossed out will help you maximize the pleasure of your next Hawaiian diving vacation. Aloha and Mahalo, maybe I’ll see you there. 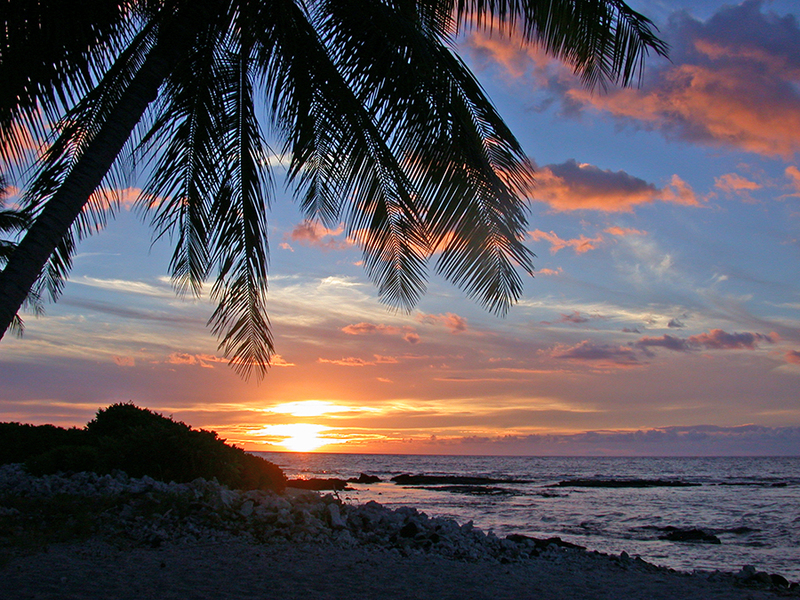 This entry was posted in Big Island Hawaii, Hawaii and tagged big island, Hawaii, scuba diving. Bookmark the permalink.